When knitting through the back of the loop, you’re changing the direction from which the needle enters the stitch. 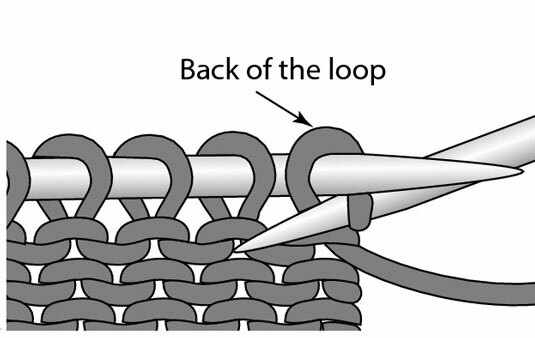 By knitting through the back of the loop (abbreviated ktbl), you deliberately twist the stitch and create a different effect. 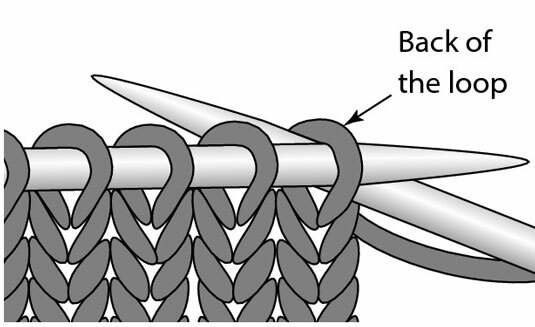 Stitch patterns that use twisted stitches have an etched, linear quality. To really know how to do this twisted stitch, you must first understand that stitches in the ready-to-work position have a front and a back. The back of the stitch is the part of the loop on the side the needle facing away from you. When you knit in the usual fashion, you insert your RH needle into the stitch from left to right, lifting and spreading the front of the loop — the side of the loop on your side of the needle. You can purl into the front and back of a stitch as well. To knit through the back of the loop: Insert your needle from right to left, with the RH needle behind the LH needle, lifting and spreading the back of the loop — the side of the loop on the opposite side of the needle. Then, wrap the yarn around the needle and pull a new loop through. To purl through the back of the loop: Insert your needle through the back of the loop from right to left and purl as normal. Knitting pattern abbreviations aren’t all the same. Some patterns use ktbl to mean “knit through back of loop”; others use k-b to mean the same thing. What can be even more confusing is that many patterns use k-b to mean “knit in the stitch below.” Before you start, check your pattern to see what its abbreviations stand for.